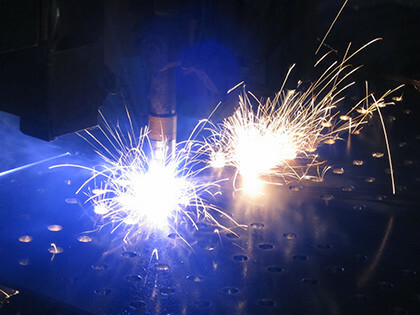 Doherty Steel offers a wide variety of steel finishing, fabrication, and erection services. 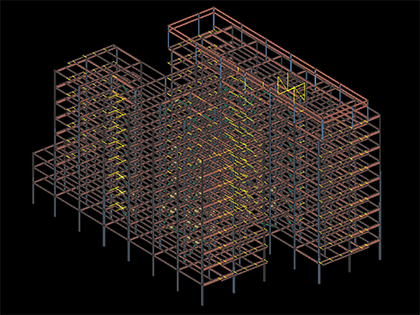 Doherty Steel can provide one contract to provide design, engineering and construction services to the owner. This provides the owner with faster delivery, cost savings, better quality and singular accountability and responsibility. Overall owner’s exposure and risk is reduced by diverting from the traditional multi contract design-bid-build process. Doherty Steel purchases steel shapes from the mills and/or the warehouses based on the Advanced Bill of Materials. This ensures availability of the material, quality and volume discounts. Warehouse purchases may cost more, but provide for quick delivery to the shop. Doherty utilizes both sourcing methods in order to provide the most cost effective procurement matrix. 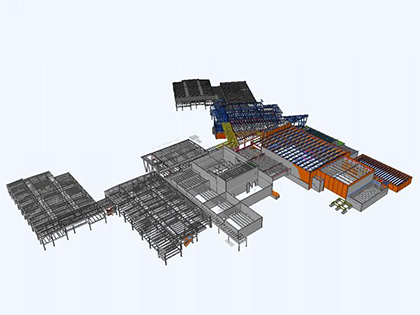 Our 135,000 square foot facility gives Doherty the ability to output 10,000 – 13,000 tons of fabricated steel per year. Our modern equipment includes a Peddinghaus PCD 1100 Drill Line, a Controlled Automation Plasma Table, a Peddiwriter Automated Layout Marker, a Peddinghaus Plate Processor, a Peddinghaus Coping Machine, two Peddinghaus 54-inch band saws, and a Shot Blaster. Doherty also has an in-shop lifting capacity of 20 tons, three yard cranes, as well as a MI-JACK Travel Lift with 30 tons of lifting capacity. The shop is staffed by 40-50 skilled workers on average. Our shop also has painting facilities and access to galvanizing capabilities. 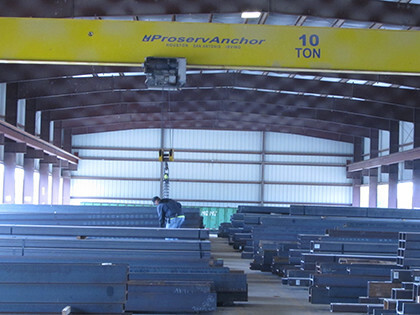 Assembly of fabricated steel members into a frame on-site is major part of what Doherty Steel does. Because erecting a structure safely, quickly, and economically relates directly with decisions made early, the DSI superintendent is involved in the early stages of a project. Doherty also surveys anchor bolt positions prior to fabrication of base plates. Because various cranes are used in any project, Doherty owns a range of cranes and 10 fully equipped welding trucks. 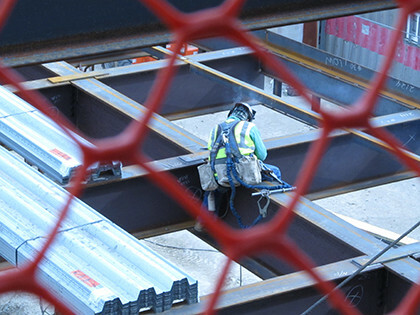 Safety and structural stability during erection is an integral part of our company culture.